This one is so pretty and dreamy! The cherry blossom trees look like marshmallows! Om nom! This is the one that has me super excited! In the concept art above, you can notice something straight away ... no Main Street!! 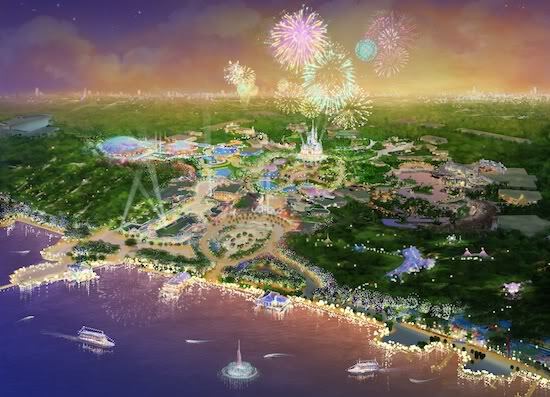 To me this is a brilliant idea for a new resort ... it makes it distinctly different from all the rest. Don't get me wrong, I LOVE Main Street in Disneyland Paris; there is nothing more magical than taking a wander down Main Street towards the breathtaking view of Sleeping Beauty's Castle at its end ... I get goosebumps every time! But for a brand new resort like this, its so interesting to see such a different layout! 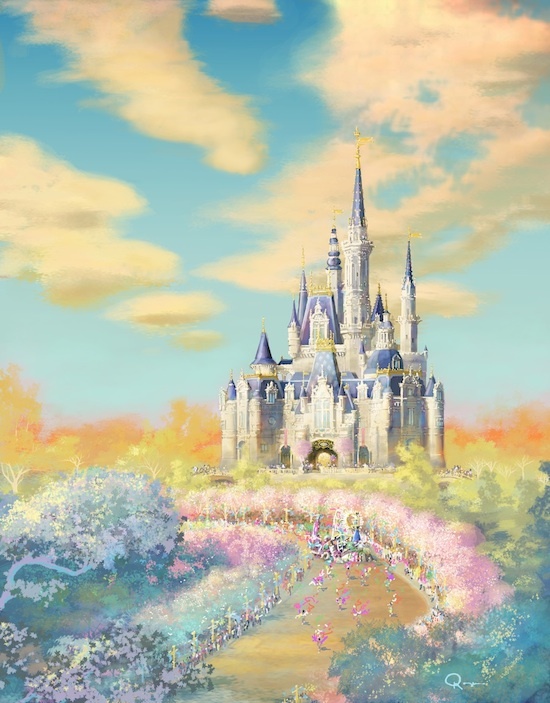 The Castle within Shanghai Disney is a modified version of the Cinderella Castle Design, seen in both Walt Disney World Resort in Florida and Tokyo Disneyland. 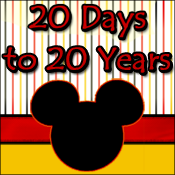 It is set to be the biggest Disney Castle yet! With the name, 'Storybook Castle', it is rumored to be an attraction in itself, since it will be big enough to house dining and show-performance areas! 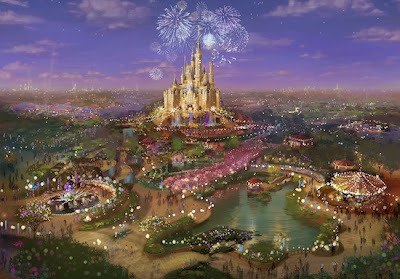 Construction could take 4-5 years ... but so far, even from what little information we have, it looks like Shanghai Disneyland is going to be a spectacular Disney resort! 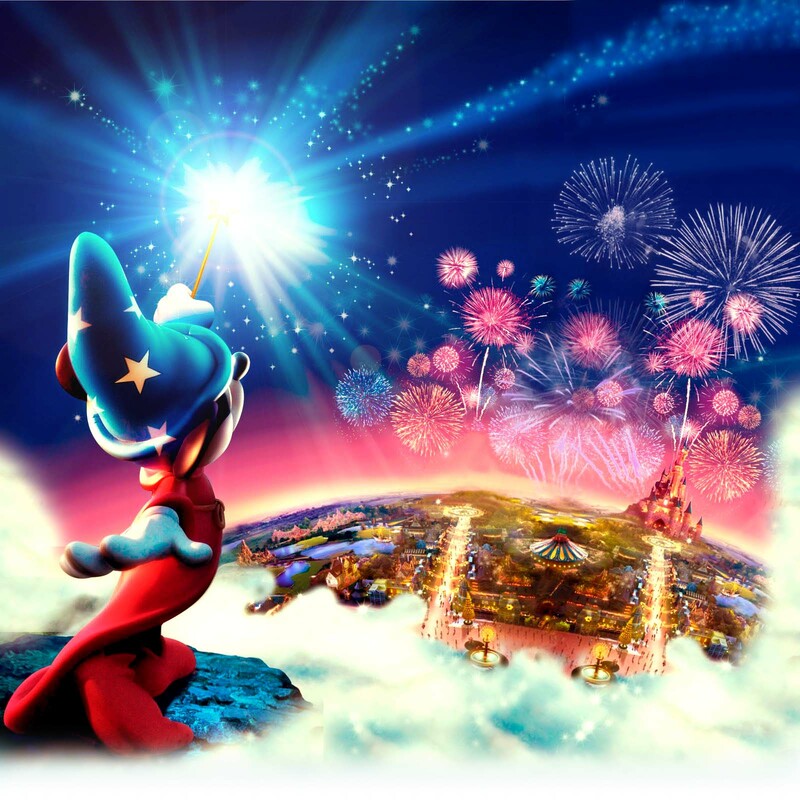 You can read more information about Shanghai Disney Resort on the official website!